Has anyone added a stereo switch on the new Malibu's so can power the radio without turning on everything? And if so which wire under the dash just powers the radio? Not feeling tracing it out if someone has already done it. I want to do this on my A20 too. This can be done, I did this with both of my VLX's, unfortunately my stereo installer actually performed the work. Mine is set up to just allow the head unit/full system to turn on without having the ignition button pressed on the dash. 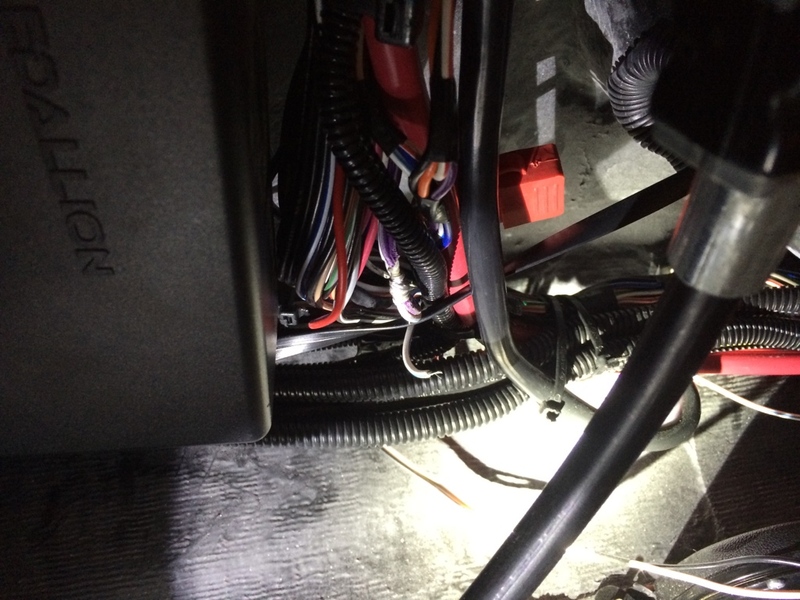 I think all you have to do is find the hot wire from the head unit and run it to a different power source that does not tie into the ignition hot. I can try and send my installer an email to see exactly what he did and get back to you. The reason it is wired this way is because if you use Maliview to control your stereo it makes sense, but if you go with a seperated system (ie: WS 420 SQ, external Ipod connection) then its a waste. I have never used a stereo function on the Maliview. grab power for the switch from the same source. Remote turn on from your HU to the switch and the amps. I appreciate the input. I know how to do it and have the switch to install. Just wish they had numbered the wires so wouldn't have to trace all the way from the radio which is actually mounted with the amps, all the way around to ignition source under the dash. I mean if I knew which wire would be a lot simper than tracing or pulling a whole new wire from radio over. But if your stereo guy knows which wire that would be perfect. Loving the new boat just not the radio set up yet. Mine has three extra ACC switches. I burned one with the heater. Dealer forgot I had push button on dash. So ignition does not turn radio on without turning whole dash on. Spike- why are you trying to wire it this way? to save your battery? No fuse panel. Has breakers over under the throttle. All CPU under dash going to touch screens. And then wires go down under the floor then come up inside where the amps in storage area. Where the actual radio is. Kinda hard to trace. But looks like I am gona have to bite the bullet and either pull a wire or trace that one out myself. I already have marine rocker switch and wire to do it, just trying to take the easy way I guess. I haven been up under there yet, but I can't imagine they got rid of the fuse box. There are several breakers by the throttle, but that's not everything. Don't figure it's good leaving that computer that runs the pretty much everything on as much as i do the radio. Plus when you turn the switch on the blower automatically comes on. And would be way simpler for the kids also. Bit the bullet traced it out myself. Total of an hour. Turned out great. Everything still works but can turn power to radio with a flip of a switch. Did you add a separate ACC switch under the throttle? No reason to add a switch or anything like that, you already have one on the RFX 55 remote on your dash. Pretty simple. You to tie the RED wire coming out of the headunit into the yellow wire coming out of the headunit. The yellow wire is the one that offers constant powerm the red one lets the box know when it is ok to use that power. The red one comes tied into the Malivue Ignition on the boat. That is why the Maliview has to be on the listen to your stereo. I think is silly to have to run the Malivuew computer in order listen to the radio / battery sucker! <br />No reason to add a switch or anything like that, you already have one on the RFX 55 remote on your dash. Pretty simple. You to tie the RED wire coming out of the headunit into the yellow wire coming out of the headunit. The yellow wire is the one that offers constant powerm the red one lets the box know when it is ok to use that power. The red one comes tied into the Malivue Ignition on the boat. That is why the Maliview has to be on the listen to your stereo.<br /> <br />I think is silly to have to run the Malivuew computer in order listen to the radio / battery sucker! So then you would just turn the stereo on/off with the power button the touch screen remote right? I put a 30 min timer on my stereo power wire. This helps me keep track of time and saves the battery if I forget to shut things off. Good stuff. Why, may I ask, does the white/blue wire need to be disconnected? Everything else makes sense to me.
. If I remember correctly, the white and blue if left connected will backfeed power to relay and energize both screens anyway without dash switch being energized. It's kinda screwy how it's all wired up. 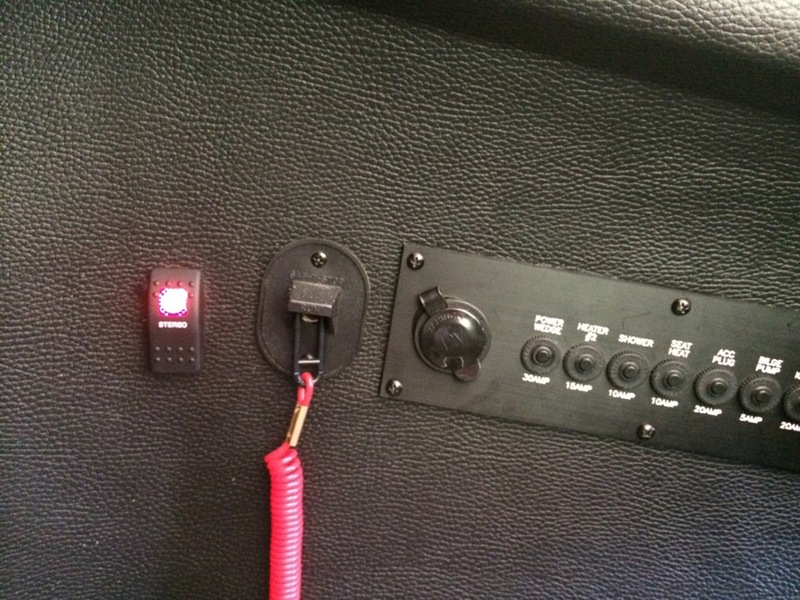 Love my rocker switch I added. Simplicity at its best, to me anyway.